An Ultra-wide angle lens with a 104deg. diagonal angle of view providing outstanding performance over the entire image field. 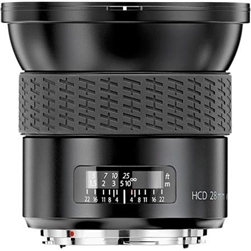 The most extreme wide-angle lens currently available in the medium format. 35 mm Lens equivalent is 18 mm. 95 deg. /83 deg. /66 deg. 36 x 27cm / 14.17 x 10.63"